Clear bottom canoe/kayak that lets you see underwater! Includes 2 x Paddles, 2 x Ultimate Seats. Durable construction and is designed for most conditions, although we would recommend flatter waters to get the full effect. Removable frame, seats and buoyancy bags make storage and transportation easier. Transparent Hull - See Underwater! 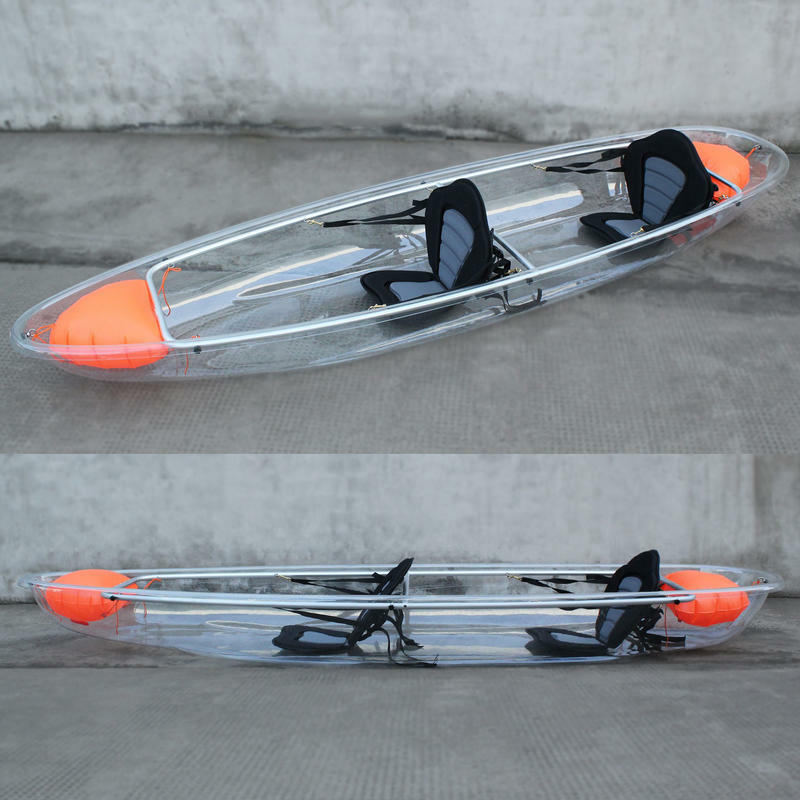 Clear bottom canoe/kayak that lets you see underwater! Open cockpit with room for 2 people. Explore the water while paddling wiut this fun and adventurous kayak. Comes with two Buoyancy bags, two Paddles and two seats. Removable frame, seats and buoyancy bags make storage and transportation easier.